The Song of Seikilos is the oldest complete surviving music composition in the world engraved in a marble stele that served as a flower stand. The beautiful composition, also known as the ‘Seikilos epitaph’, dates from around the first or second century AD, and was inconspicuously being kept in the garden of a Turkish woman prior to its current placement in the National Museum of Denmark. 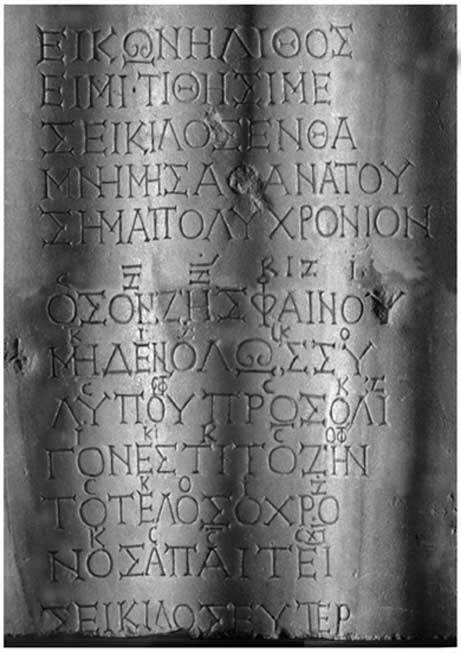 The Song of Seikilos was discovered carved on a marble column-shaped stele in Tralleis, near Ephesus in Turkey, in 1883. Although short in length, this piece of the past has remarkable historical value in its rarity as an artifact. It is not the oldest song in the world, which is attributed to a Sumerian hymn, but it is unique as the sole composition which has remained complete throughout history. “It’s the song that ensured the stele would truly be an everlasting memorial because he didn’t just have the lyrics engraved, but rather also included the melody in ancient Greek musical notation”. And time carries away his prize. 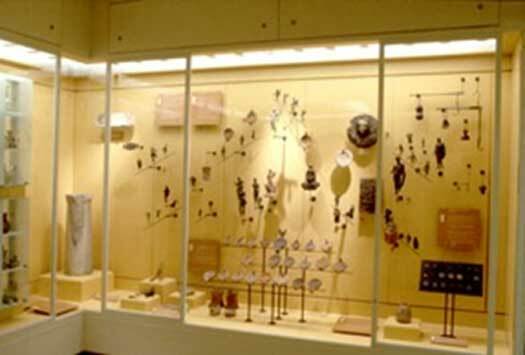 The Song of Seikilos had a long and unusual journey before reaching its present secured home at the museum in Copenhagen. The original discovery was made by Sir W.M. Ramsay in 1883, when the stele was placed in a museum in Smyrna until its destruction during the Greco-Turkish war, between 1919 and 1922. 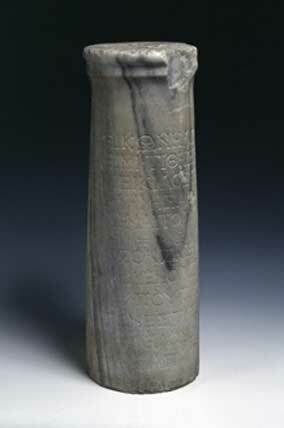 Later, the stele was discovered in the house of a Turkish woman, who was using the stone in her garden. The last line of the inscription of the song was damaged by the railway engineer Edward Purser who was working on site, building the Smyrna-Aidin Ottoman Railway, when this stele was discovered. Not knowing what he had uncovered and the relevance of his finding, Purser sawed off the base of the pillar and gave to his wife as a present, which she then used as a flower stand. 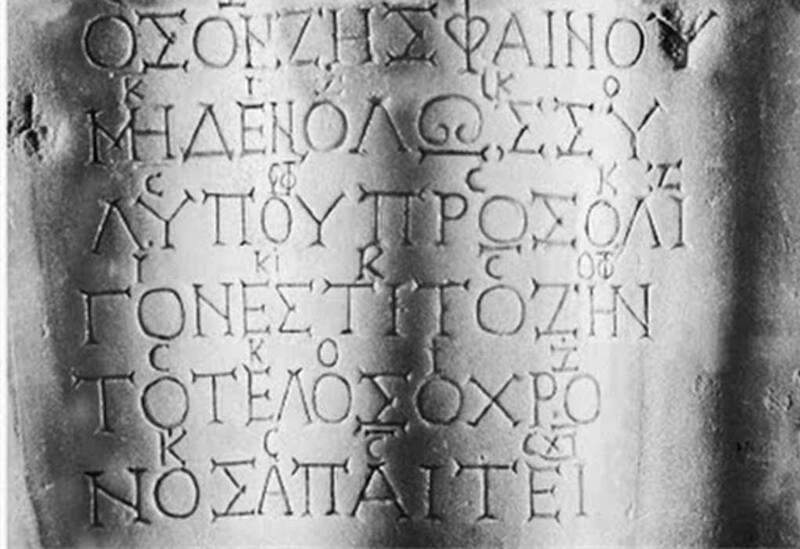 Besides the engraved words on the stele, Seikilos also made sure to record the musical notion of the melody in Ancient Greek. The ancient form of musical notation is old, dating back as far as 450 BC and it involves the use of alphabetical characters and accents - in this case placed above the Greek vowels. These details define the rhythm and indicate precisely upon which syllables the pitch should rise and fall. Because of this detailed information, some contemporary professionals, such as the Lyra expert and ancient music researcher Michael Levy, were able to bring this ancient song back to life and we can now appreciate this precious piece of the past. Other professionals such as Armand D’Angour, who is a musician and classicist at Oxford University, is currently working on a project using the latest discoveries on Greek musical notations in order to revive ancient music with the most accuracy possible. “the Greeks had worked out the mathematical ratios of musical intervals – an octave is 2:1, a fifth 3:2, a fourth 4:3, and so on. The notation gives an accurate indication of relative pitch: letter A at the top of the scale, for instance, represents a musical note a fifth higher than N halfway down the alphabet. Absolute pitch can be worked out from the vocal ranges required to sing the surviving tunes”. Thanks to Seikilos’ precisely recoded information to assure the survival of his loving dedication, musicians today were able to reproduce the song, which can be listened to with various interpretations. This voice of the remote past is now safe to hopefully live forever. Song of Seikilos / Seikilov skolion from Aleksej Orel on Vimeo. The universal and timeless mathematical language of music never ceases to amaze me. It is truly beautiful specially when thinking about the detailed care which Seikilos put into making sure that this song would survived correctly according to his intention, according to his loving feelings for his wife. But above all, it is a lovely melody for sure! Beautiful to hear and think about. So glad it was discovered so it can be enjoyed by so many who understand the timelessness of this song.